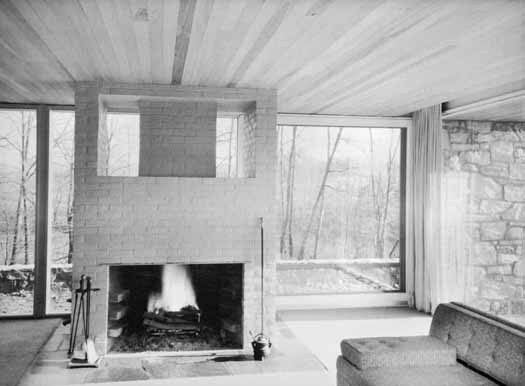 Marcel Breuer favored maximizing both the view and the available natural light. As illustrated in this living room he designed around the middle of the last century, even the fireplace wall has been punctuated to take full advantage of both. There is so much to be learned from the work of the mid-century modern masters…details like this, extensive use of floor to ceiling glass, the wood ceilings and even the soffits to house the casements. simplequietmodern details. When it’s clear that these ideas could easily be implemented now, it makes me wonder why so many McMansions still continue to pop up at every turn.